Sally graduated from the University of Exeter in 2011 with an Upper Second Class degree in French and Spanish. She went on to study the Graduate Diploma in Law at the College of Law in Guildford and completed the Legal Practice Course in 2015. After spending several years with other Surrey-based law firms, Sally joined Gordons in May 2015 to work as a paralegal in our Property department in Guildford. 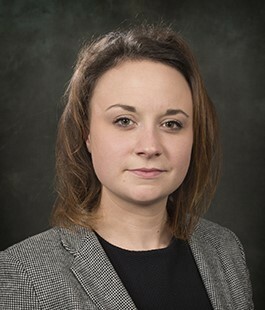 Sally completed her training contract at Gordons and qualified as a solicitor in March 2018 in our Commercial Property Department.